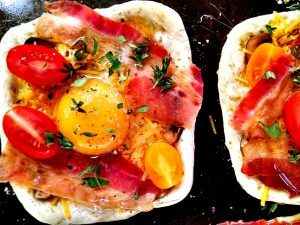 Bacon and Egg Breakfast Tarts. 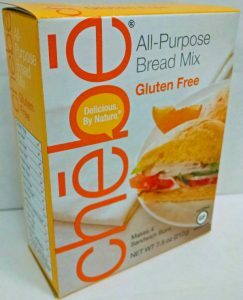 A Chebe creation, 100% gluten and grain free. They’re ‘Top Chef’ (but easy). Who ya gonna impress?! 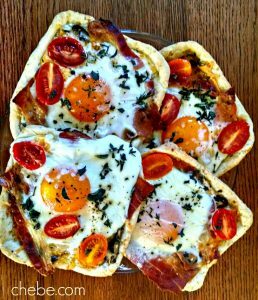 Bacon and Egg Breakfast Tarts. 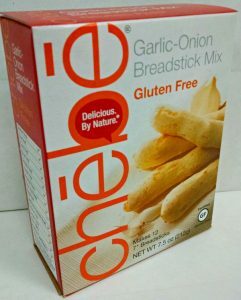 A Chebe creation, 100% gluten and grain free. They're 'Top Chef' (but easy). Who ya gonna impress?! 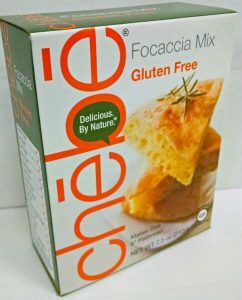 1 package (7.5 oz) Chebe Pizza Crust or other savory Chebe mix. 2 oz shredded Parmesan or sharp cheddar cheese. Melt 1 Tbsp butter in a small pan. Sauté the mushrooms and set aside. 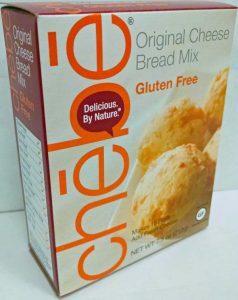 Prepare Chebe mix according to package instructions using 2 oz shredded cheese. 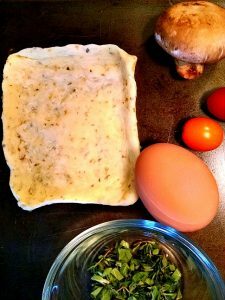 Shape into a dough ball. 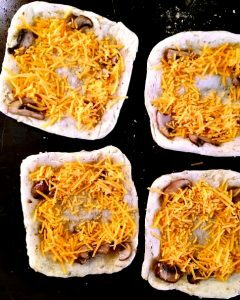 Separate the dough ball into 8 equally sized pieces and roll each one so that they are smooth and well blended. Place the squares on a baking sheet. You may oil the baking sheet or use parchment paper to prevent the squares from sticking. Melt the remaining butter and brush over the squares, including the edges. Bake for 7 or 8 minutes, then remove from the oven. 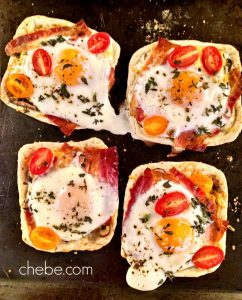 Place the mushrooms, shredded cheese and bacon around the edges of the squares, creating a small wall to help secure the egg in the middle. 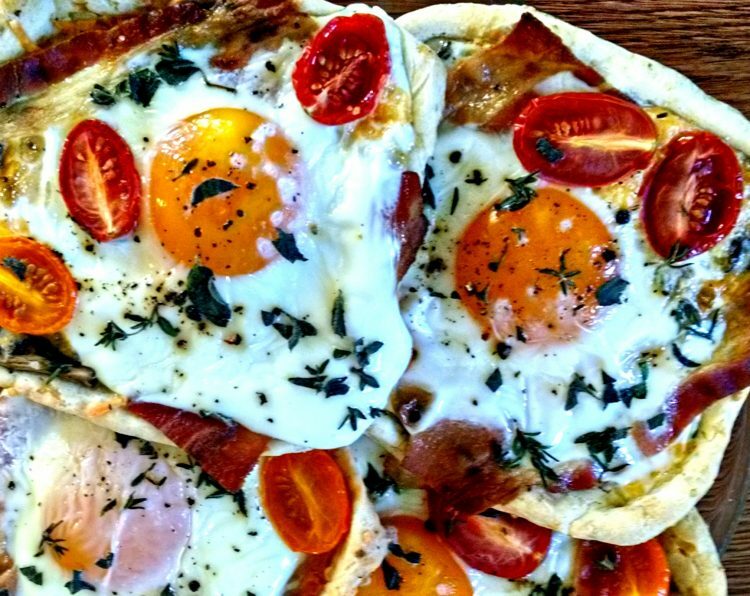 Break one egg onto the middle of each square. 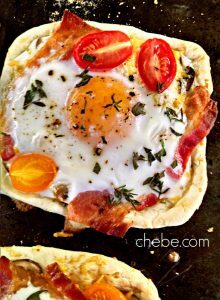 Top with 2 or 3 tomato halves. Season with salt, pepper and herbs. Return to oven and bake for about 15 minutes, (keep an eye on them after 10 minutes). Remove from oven when done, serve and enjoy!